The Felsina Estate is impeccable. 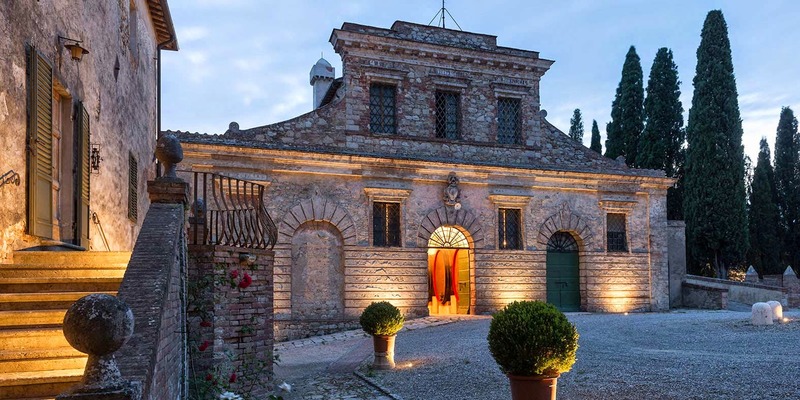 Whether it’s the manicured vineyards, the immaculate cellar or the pristine courtyard that gives character to this venerable estate, quality is practiced unfailingly at every level. These characteristics present themselves admirably in the estate’s wines. Simply put: Chianti Classico does not get any better than Felsina. Of course you can find wines of similar quality, but the consistency and excellence of the wines from this estate in Castelnuovo Berardenga would be hard to eclipse. Organically farmed, Felsina’s wines are produced from estate grown grapes from some of the zone’s oldest vineyards. 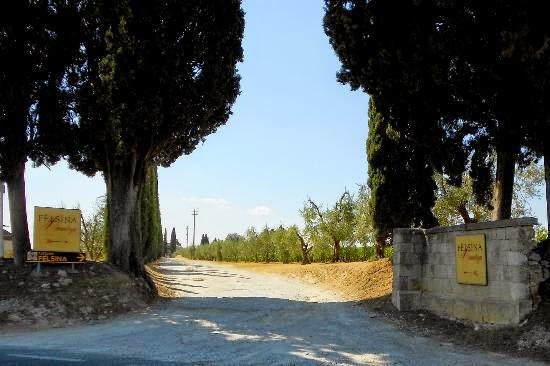 The Chianti Classico is produced from vines that average 30 years of age and the subject of today’s article, the Rancia Riserva, hails from a single vineyard whose vines average 50 years of age. Franco Bernabei, with wineries like Sartori, Monte Antico and Fontodi among his resume, is the long tenured consulting winemaker. We recently cracked the cellar door to check in on the 2001 Felsina Chianti Classico Rancia Riserva. The wine takes it’s name from the historic farmhouse on the estate that was a Benedictine Monastery in a previous time. The vineyard sits at approximately 400 meters above sea level with ideal south west exposure. The 2001 is a dark ruby red in the glass with nary a slight fade to a more rustic ruby, dark brick color at the rim of the bowl. Hard to believe this is 14 years old. On the nose the wine is spellbinding. There’s ample warm, rustic crushed berry notes, with notes of flowers, earth, herbs and spices. Persistent, elegant and complex on the palate with a full bodied core of mellowed cherry fruit, savory herbs, dusty minerals, dried tobacco leaf and a faint hint of deftly applied oak masquerading as chestnut. This has balance, finesse and amazingly, years of life ahead if you’re not tempted to drink it now. 94 points. About $35 upon release. Current vintages still sell for around $40.